In recent years, many state-of-the-art steganographic schemes for halftone images have been proposed. Most of them only focus on the visual quality of the marked image but ignore the statistical security. In this paper, a novel steganographic scheme for halftone images is proposed, which focuses on both visual imperceptibility and statistical security. For halftone steganography, embedding messages can only be achieved by flipping pixels. The significant distortion will occur if the pixels are flipped arbitrarily in a halftone image. To select the optimal flipping pixels, we define the flippability measurement based on pixel pairs, which can provide a flippability score for each pixel in halftone images. The higher flippability score of a pixel means that the visual distortion caused by flipping the pixel will be smaller, so the pixels with high flippability scores can be selected as carriers. To achieve high embedding capacity and minimize the embedding distortions, syndrome-trellis code (STC) is employed in the embedding process. 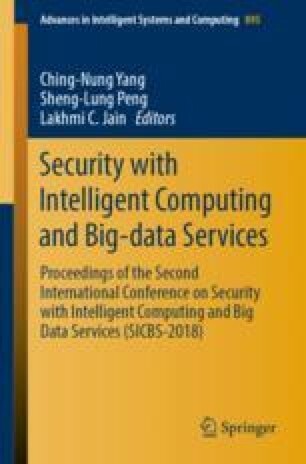 The experimental results demonstrate that the proposed scheme can achieve high embedding capacity and realize acceptable statistical security with high visual imperceptibility. This work is supported by the National Natural Science Foundation of China (No. U1736118), the Natural Science Foundation of Guangdong (No. 2016A030313350), the Special Funds for Science and Technology Development of Guangdong (No. 2016KZ010103), the Key Project of Scientific Research Plan of Guangzhou (No. 201804020068), Shanghai Minsheng Science and Technology Support Program (17DZ1205500), Shanghai Sailing Program (17YF1420000), the Fundamental Research Funds for the Central Universities (No. 16lgjc83 and No. 17lgjc45).